I’ve never slept in a ryokan; but it sure looks quite comfortable. Is it? I miss those rooms. But we would pile up the futons so the bed was softer. And after a while, our legs would cramp on us at the table, mostly because we’re old! 🙂 Great memories. But still an experience worth having! Thanks Mabel! That is a very good point 🙂 How versatile using one room for two purposes!! Clutter is never good, right? 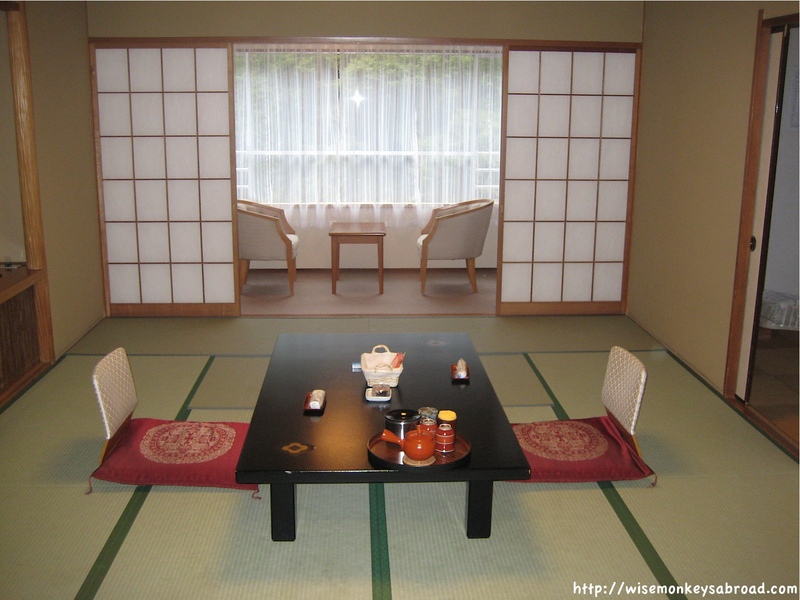 Have you ever stayed in a ryokan? 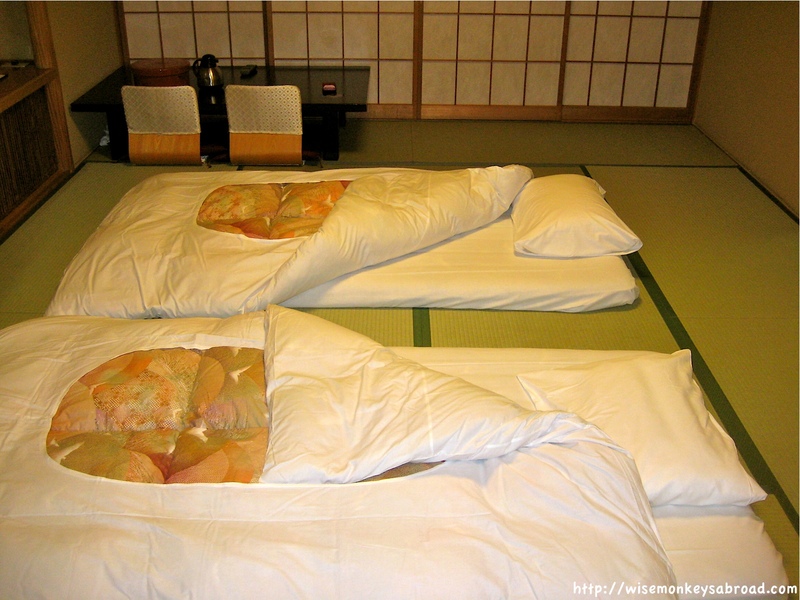 Never stayed in a ryokan, but that will be on my to-do list when I travel to Japan someday! We love Japan and would love to go back again one day!! Wonderful glimpse into a faraway world. Great entry. Let’s see how we will later manage japan as my wife is Chinese and usually can only go through tour groups or some special invitations to that country. We just hope that you do get a chance to do plenty of travels and go to where you wish when things change. Wow! I have read so much about tatami mats and japanese culture. Nice to see a real picture. It looks so serene. My sister is a teacher of Japanese language at a high school and one day we hope to travel to Japan with her. I’d like to try staying somewhere like this. If we do get there I will ask you where it is. Yikes!! Will have to look it up… Can’t quite recall! Don’t worry. It’s not planned for the foreseeable future. Ooooh so glad you like it 🙂 If you ever get around to trying it one day, please do!! I’ve never stayed in one, and certainly would try it after seeing your pictures!! ahhh you’re lucky – the futons are a little thick! great pic! Thank you 🙂 – the futons were thick and comfy! Are they more or less expensive than other kinds of rooms, with beds and other furniture? Thank you for posting this!!!! This is so cool. I have always wondered about those rooms… This just confirms what I already thought— they’re totally awesome! Beautiful and simple. Love it. Thank you for your extremely lovely comment!